Happy Holidays, Friends! The following is a hand picked guide of ethical gifts that are great for everyone on your list this holiday season. The magic of giving an ethical gift is the unique and meaningful story that goes along with it. Not only is there a quality you can feel in these products, but the one of a kind journey it makes, that has a real impact on the lives of the hands that crafted it. My passion for ethical products happened to sprout from a gift given to me, as the story goes for so many other people. Single-use plastics are so last year. Yuhme's reusable water bottles are made in Sweden from sugarcane, are CO2 negative and for every water bottle sold they give 6 months of clean, plastic-free water to someone in Central African Republic. 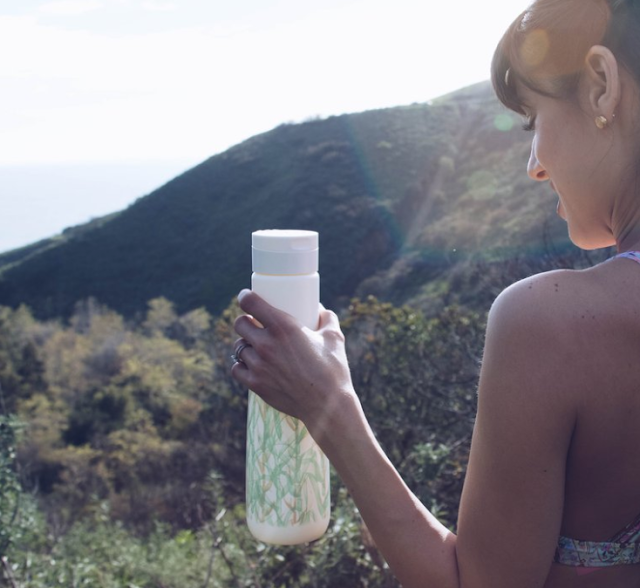 Check out all the chic styles of this slick, flip-top water bottle. Give the gift of hydration and help someone across the world in need for half of the year! Every product that Beauty By Earth makes is non-toxic, all-natural and organic. They use NO parabens, chemical fragrances, phthalates, alcohol, soy, corn, gluten, petroleum, or any other fillers for that matter and almost everything is totally vegan. Beauty By Earth is also a cruelty-free brand and everything is made right here in America. They have such a wide variety of products, there is bound to be something for everyBODY on your list. I am crazy about their self tanner bundle. Read all about this brand here! Panda is a men and women's accessory brand that carries eco-friendly and sustainable Bamboo Sunglasses. Every pair of Panda Sunglasses purchased gives the gift of vision to someone in need. In addition to their bamboo sunglasses, Panda also expanded their products with a collection of Portuguese Cork and Mosu Bamboo wrist watches. 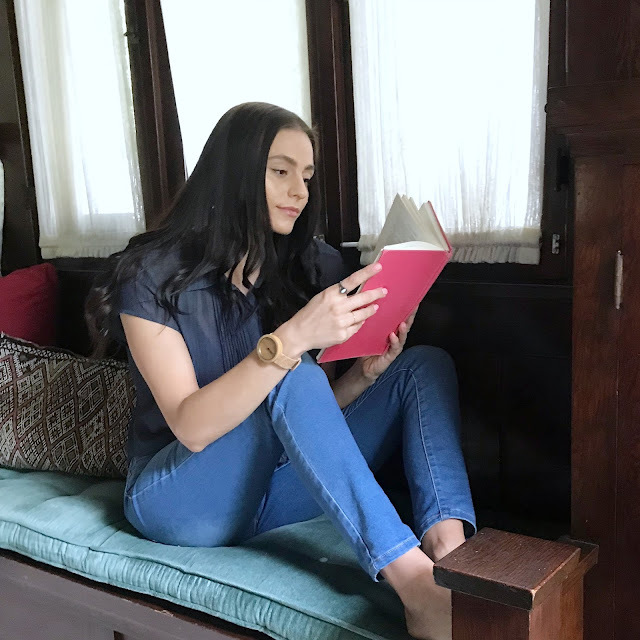 They are eco-friendly, vegan, made from 100% sustainable materials, and for every timepiece sold they give the gift of education by making a donation to Pencils of Promise on your behalf. These non-toxic candles are hand poured in New York and smell so natural and surreal I'm always hesitant to burn them, knowing eventually it will be gone. Instead of paraffin, Keap Candles are made with pure coconut wax that is sustainably produced. It also makes them clean and slow-burning. The candle jar itself was made to be repurposed. It easily wipes clean after your final burn to be given new life as a drinking glass or make-up brush holder. Keap also donates 25% of their net profits to SolarAid, to bring light to those without access to the electrical grid. Check out their full story here! 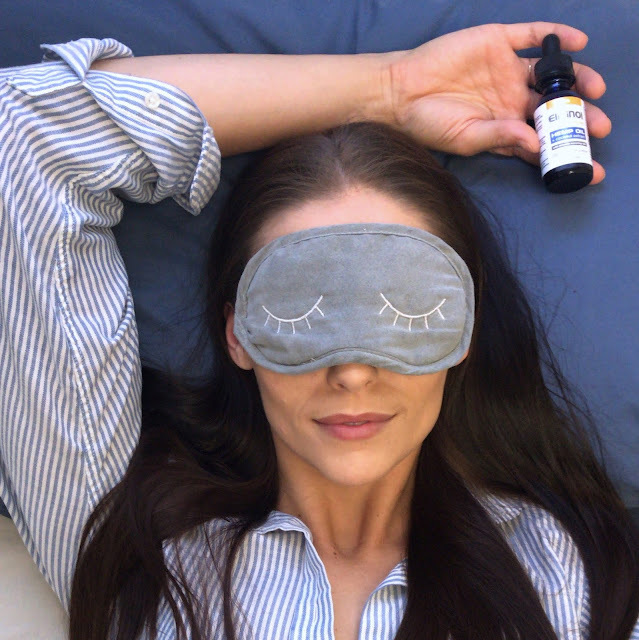 Give the gift of rest and relaxation with CBD oil, delivered right to your door thanks to HelloMD. I suffer from migraines, PMDD, and mild anxiety. As someone who prefers a natural, non-toxic and non-addictive alternative, CBD oil products have opened the doors of relief for myself and so many of my friends and family members. I am so happy to be able to share HelloMD with you. If you give this a try or give as a gift, I would love to know about your experience! P.S. This gift guide contains some affiliate links, so if you make a purchase I may get a small percentage of the sale price (at no extra cost to you). As always, I only recommend brands that I love.